I am not a nationalist nor does a national champion’s jersey wipe me of my feet. 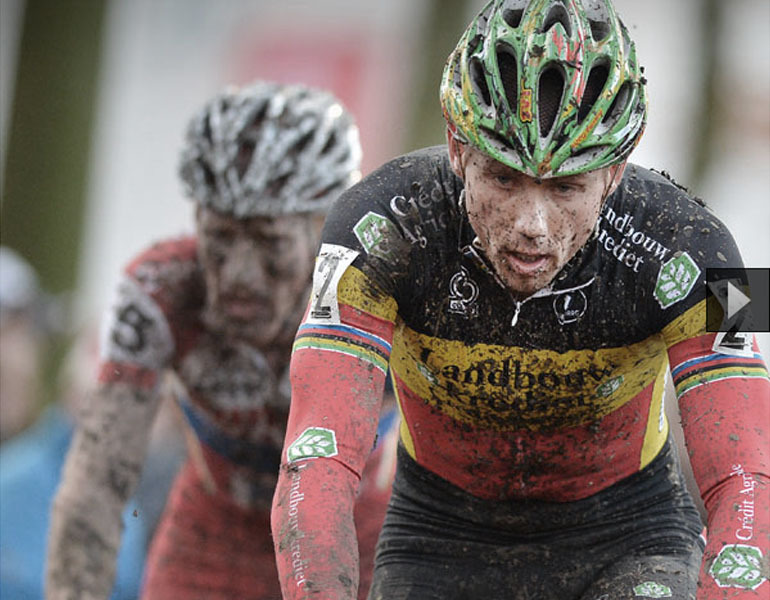 But, fact is, that the past weeks my appreciation for the Belgian champion jersey has grown thanks to the achievements of the greatest cyclo-cross rider the world has ever seen: Sven Nys. Whilst his opponents turn green, red, purple and blue trying to catch up with Sven’s pace, ‘Mister Superprestige’ is taking one win after the other, leaving his competitors with nothing but leftovers. Although the heroic proportions of Sven Nys’ actions will not make me say that I love the design of the Belgian cycling jersey, I need to admit that I start to appreciate it more each week. Keep on riding Sven!